One of the best things in life is to grab a ripe tomato off the vine and sinking your teeth into that sun warmed sweet flesh. Growing beautiful and flavorful tomatoes is the ultimate goal for home gardeners, and while tomatoes are easy enough to grow getting that perfect fruit is elusive for many growers. That doesn’t have to be the case. Tomato-tone Organic Fertilizer is by far one of the best fertilizers for tomatoes on the market. This product delivers a balanced 3-4-6 (NPK) fertilize to your tomatoes along with fifteen essential trace elements to grow your tomatoes to be the most lushness and delicious. Tomato-tone is completely organic so there is no sludge, hazardous or toxic ingredients to foul the environment. Tomatoes are weak-stemmed vines that originated from Central America. The red-ripe tomato is actually a fruit classified botanically as a berry and has been cultivated by humans since at least 500 BCE. There are many varieties grown worldwide, with the heirloom varieties gaining favor with home gardeners in recent years. To grow the best tomatoes, you can either start your plants from seed or buy transplants from your local nursery or garden center. Tomatoes require warm temperatures and a full eight hours of sun although, in hot Southern climates, some afternoon shading would be beneficial. Soil pH should be between 6.2 and 6.8 to optimize the uptake of nutrients from the soil, which itself should be light and loamy. You can grow tomatoes in containers as well as in the ground. When planting your tomato plants, bury up to two-thirds of the stem to encourage strong plants, and space them about two to three feet apart. Watering should be done infrequently, but water deeply to stimulate deep root growth. Provide a trellis or stakes for support of the plants. It is preferable to put in the stakes when planting so that the roots are not disturbed and it is easier to tie the plants up as they grow. You can plant tomatoes about once every three weeks to ensure a steady supply of fruit. The plants are heavy feeders so using the best tomato fertilizer is essential to having a crop of bright red tomatoes. Tomato-tone has a university tested formulation to make sure your plants are receiving both the macro and micro-nutrients they require. A nitrogen-phosphorus-potassium mixture of 3-4-6 is the guaranteed analysis of macro-nutrients. Nitrogen is lower than the traditional mix since you want to encourage fruiting rather than lush green foliage. Phosphorus is important for developing a strong healthy root system and potassium offers the plant disease resistance and hardiness. Secondary nutrients are as vitally important as the macro elements. Tomatoes especially need calcium as it increases the plants ability to uptake and utilize all the other nutrients, and calcium has been shown to reduce blossom end rot. Magnesium helps to produce dark green leafs as it is an essential part of the leaf’s chlorophyll. Minor nutrients included in the Tomato-tone Organic Fertilizer include boron to increase flowering and fruit development, chlorine and sodium for water loss prevention and to optimize usage and cobalt for growth and transpiration (the release of water through the leaves to add in cooling and temperature regulation). Manganese and copper are needed to help produce chlorophyll, and molybdenum, nickel and zinc aid in enzyme production. Tomato-tone Organic Fertilizer is a great way to help you grow the tomatoes that will be the envy of your neighbors and the best tasting fruit for you and your family. 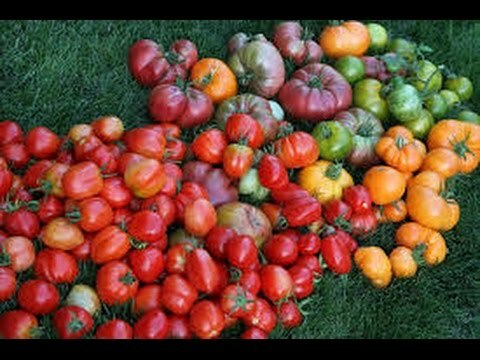 How To Grow The BEST TOMATOES!